It will lift your spirits just wearing one of these handmade beach ball bracelets . 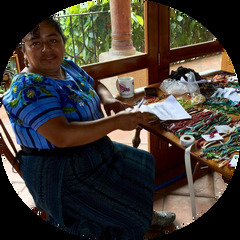 Hand made in Guatemala with pearlescent and glass seed beads. Measures 8" unclasped, with a bead closure.